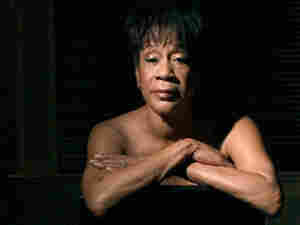 Bettye LaVette's Journey To The National Stage If you've never heard of Bettye LaVette, the soul singer who belted out "A Change Is Gonna Come" with Jon Bon Jovi at the Inauguration Celebration at the Lincoln Memorial on Jan 18., you may be wondering why. 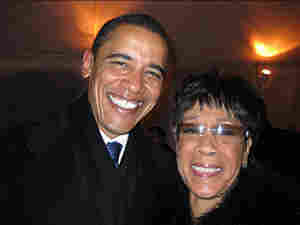 If you've never heard of Bettye LaVette, the soul singer who belted out "A Change Is Gonna Come" with Jon Bon Jovi at the Inauguration Celebration at the Lincoln Memorial on Jan 18., you may be wondering why. There's a good reason: After a promising start in the early 1960s, when LaVette had a couple of singles that became R&B hits, things just didn't work out for her. The 1972 album she recorded for Atlantic that was supposed to be her breakthrough wasn't released until 2000 when a French producer licensed it from Atlantic and started her comeback. She released her most recent CD, The Scene Of The Crime, in 2007. This interview was originally broadcast on Dec. 17, 2007.